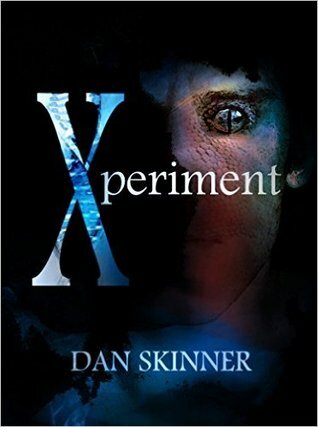 In today's post, we'll look at Xperiment and The Art Of The Heart, plus a personal story Dan's chosen to share. There's also again a chance to win one of his books! Monsters aren't born... they're engineered. For nineteen-year-old, socially awkward Geoff Markham, the promise of a miracle pill to make him into the person he’d always wanted to be was everything he could have hoped for. At first, the experiment delivered on that promise. Geoff began to change, becoming more confident, stronger, even fearless. People began to admire him and find him attractive. As with every new drug, there came side effects: the agitation, sleeplessness, the bad temper. When the strange dreams began, the ones that couldn't possibly be his own, he realized something else was happening to him. As he continued to change, he was becoming something much more than what had been promised... something far less human. Something unimaginable, unrecognizable. Increasingly strange and violent things begin to happen around him. Is he the hunted or the hunter? As midnight divided one day into the next, an early snow began to fall. Goose feather-sized flakes drifted down, softening the cityscape. Geoff put another blanket on the bed and fell comfortably asleep in his lover’s arms. The last of his sullied mood had evaporated. When he awoke it was still dark, but he noticed Chris’ absence immediately. As sleep-worn eyes focused, he found him seated at the end of the bed. He didn’t seem to be doing anything but sitting rigidly, hands folded in his lap, head turned toward the window. Geoff realized he was listening to something. He was still dressed in his t-shirt and boxers. “Chris,” he whispered. There was no response. He said his name again. His head slowly turned toward him. His eyes sparkled in the dimness, but Geoff could tell he was still asleep. He was sleepwalking again; or very close to it. It seemed to be the one consistent side effect of the supplement. “Come back to bed, babe.” He patted the mattress. The pale face resumed its blank gaze at the window. Reluctantly slipping from the warmth of the bed, he trotted on tiptoe across the cold floor to the window. A quick check outside confirmed it was still snowing. He coaxed his partner beneath the covers and, at last, Chris closed his eyes. There was enough winter chill in the room to affect his bladder. Standing quietly at the toilet, he tried to filter out the sensations around him. The smells, the pull. The feeling that something bad was going on out there. As he finished and flushed, he noticed the room temperature had taken a drastic nosedive. Goosebumps pebbled his arms. He could see his breath. Upon his return to the bedroom, the reason for the cold was evident. The bed was empty; the window open. The drapes billowed on the breeze, carrying in snow to form wet specks on the floor. His mind wanted to reject the meaning of what had happened in his absence. He tugged the drape back and looked outside. The snowfall had been consistent; the ground was covered with a velveteen layer of white. Imprints of bare feet could clearly be seen on the fire escape, but no Chris. His eyes swept both directions of the street. He saw nothing. Looking below, he discovered the half-dressed sleepwalker standing on the sidewalk, hair dotted with white; face pointed down the street like a hunting dog signaling where the duck had landed. The chill, along with annoyance, made Geoff bristle. If he’d heard him, there was no acknowledgement. He’d have to go down and fetch him. Geoff found his jeans and threw them on. As he zipped them, he poked his head out the window. “Chris!” he whispered louder, trying to catch his attention. Slowly, the pale blue neon eyes of the somnambulist turned upward to him. Then he turned and sprinted barefoot down the street. The heartland of America in 1965 feels like the end of the road for seventeen-year-old Zac Weston. After all, there’s nowhere to go when you’re shy, gay, and a virgin. A natural artist, inspiration strikes in the form of neighbor boy Rory, and Zac’s fantasies spill onto the pages of his notebook. When Zac’s secret is discovered, it might take more than wishes to magically make his world right. He recognized the McHenrys’ truck by the particular chug-chug-clunk sound of its motor. His heart did a song and dance knowing what the sound of that vehicle meant. Either Rory or Dale or both of them had come to cool themselves off in the pond. Even the thought of the teenager brought the now welcome stiffness to his pajama pants. He listened for a few minutes. The sound of only one truck door opening and slamming. He rose and knelt in front of his window to peer between the silo and the line of oaks that blocked the view of the road and field where the truck was parked. He could see the single darting beam of a flashlight making its way toward the pond. The figure was still too far away to tell who it was, and his heartbeat choked him in anticipation. Fireflies danced like miniature amber lanterns in the deep blue night. The singing insects of summer were alive with a new song, masking the crunch of footfalls on dry grass. Zac picked up the miniature binoculars and held them in front of his eyes, focusing until he found the dark figure moving toward the pond. At last he was beyond the trees moving toward the silo. He was tall. Long, light hair swayed at his shoulders beneath a cowboy hat. Rory. His breath caught. Once he passed the silo Zac could see him clearly. He had the flashlight in one hand and a bottle of either beer or soda in the other. He paused at the edge of the pond and sat the two things he carried on the ground. He peeled himself out of his pullover T. He kicked off his shoes, removed his socks, rolled them in a ball and stuffed them inside one of the shoes. Zac’s pulse was thick in his throat as he watched him unsnap and unzip his jeans and slip out of them. His naked body glowed like blue marble in the warm moonlight. Even deep in shadow his stature was like a work of art. It was because of the sublime perfection of men like this that songs were written, legends born, dreams fulfilled or hearts broken. Beauty, not blood made princes of this sort. Zac was breathing so heavily it fogged the lenses of the small binoculars. He looked down the edge of bushes that separated the pond from the Weston backyard. Sheets were still strung on a clothesline waving in the light breeze. Down there was where he needed to be. He pushed his feet into his soft slippers. In a hollow house he had to make as little noise as possible. He knew every floorboard that squeaked and once past his bedroom door, he tiptoed a hopscotch pattern over them to get to the stairs. He walked down these close to the wall where the boards were less worn, stronger and more quiet. At the bottom he listened. He was safe. His parents still slept soundly. The one role I never anticipated having in my life is that of a Mentor. I’ve never been a parent so the obligation didn’t seem to ever be slated for me. That. of course, changed when I took on my young apprentice/muse, Dirk. And then I realized something strange: it’s not a role assigned to you. It’s one you fall into because of age, experience and acquired wisdom – knowledge gained by living a normal periled life and surviving it. I can remember – (way back when) – I was his age, and the trauma I felt when things went wrong. In the disastrous blinding heat of the moment you think you’ll never survive; nothing will ever be right again, and all is ruined. That’s, of course, until a few years later when something similar happens again and you calm your heartbeat, take a deep breath and realize… yep…been here, done that…made it through. Mentoring can only be done by those of us who have “made it through”. And that’s how we can help those younger than us when they hit the same turbulence. The extraordinary thing I learned about mentoring is that it is another lesson for us. A retrospective lesson. At least it has been for me. I’m still a very flawed individual in spite of having made it through many calamities. I find I still have the same impetuous “young” temper, impatience and intolerance for things that defy what I’d like to have in my life. But NOW, I have the realization that I can step back and teach myself new lessons: like patience, acceptance and perseverance. To never give up; never give in. When my life came apart a few years ago I had to start over. That’s a hard lesson. To not have money; to give up things... to do without other things; to reduce your lifestyle to the basics because of the drastic transition. At first, I was angry as hell. I like nice things like everyone. The American way is designed to make us keep wanting nice things. We want to add to our life…not subtract from it. And the more I subtracted,(and it was A LOT), the more inwardly bitter I became. Luckily I had a friend, a trainer who was a Buddhist. And though I’m not religious in the least I do believe every religion has something valuable to teach us. And what my young Buddhist friend taught me was to believe that every challenge was a test; every roadblock was a guide to the path we were actually supposed to be on. I could no longer afford to go to restaurants. I was overweight anyway and a diet was in order. I had to give up Netflix and trips to the movie theater. It was time to buckle down and write those books I’d been putting off for years. I no longer had a home – traveling broadened my abilities to tell stories; be self-sufficient, even become fearless in approaching situations I was unaccustomed to. I could no longer afford the luxury of relaxing with the wine I enjoyed – exercise was a substitute to burn off the excess energy…and get back in shape. Being poor made me richer in the things that would round out my character and help me complete the things I’d always wanted to do. I have twelve books to show for that. I’m in the best shape I’ve been in for over fifteen years. For every single thing I had given up I’d been pushed in another direction… and it made me a better person. I can swear to that – honestly. Dan Skinner hates writing bios. He lives in St. Louis, Missouri, and has been a book cover artist for seven years. Thank you for celebrating this fabulous author with us. Come back next week for our Grand Finale celebrations, with more of Dan's books, our author interview, plus one more chance to win! Thank you for the post. It can be hard to give up things and change the way you live your life. I hate diets and getting motivated is hard but I've found if you get into the habit it gets a tad easier. Glad you managed to curb some of your habits and got yourself on track. Thank you for this post and for sharing such a personal story.